The Hartland Marsh is the primary environmental corridor and natural habitat area within the Village of Hartland, through which the Bark River flows, containing wetlands and woodlands and, as such, it should be a prime focal point for “OBJECTIVE NO. 1 – NATURAL RESOURCES PROTECTION” as defined in Chapter 3 — Objectives, Principles and Standards — of The Village of Hartland’s Comprehensive Development Plan. Chapter 4 — Agricultural, Natural and Cultural Resources — of The Village of Hartland Comprehensive Development Plan provides a detailed analysis of the importance of standing on the principles outlined above. 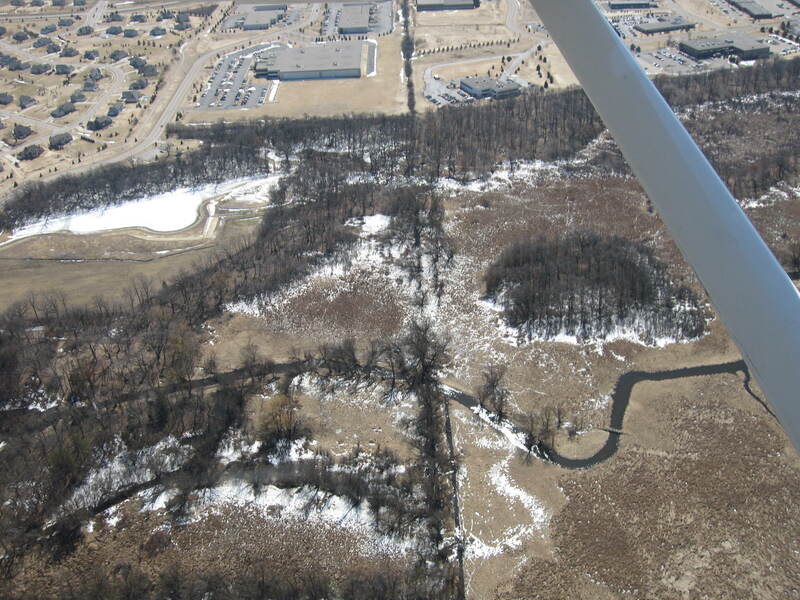 The Hartland Marsh is an approximately 200 acre area bordered by Maple Avenue on the east, Hwy 83 on the west, Cardinal Lane on the north and Walnut Ridge Drive on the south. The environmental corridor extends west of Hwy 83 all the way to lake Nagawicki, east to Penbrook Park, and north following the Bark River Greenway. However, the primary focus of our work right now is between Maple Avenue and Hwy 83. 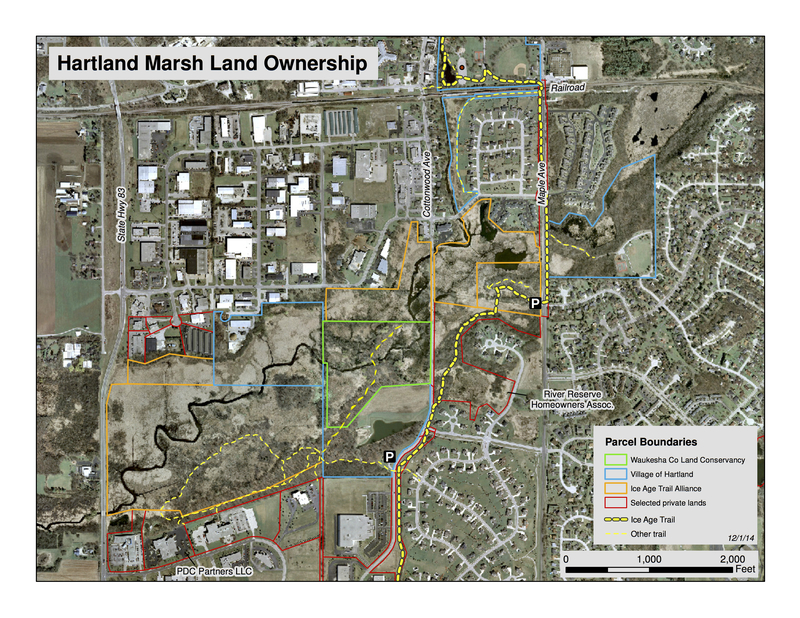 There are 4 land owners in The Hartland Marsh: The Village of Hartland, The Waukesha County Land Conservancy, The Ice Age Trail Alliance and private owners. The map below delineates the properties. Anyone with the interest and energy can get involved on this project in cooperation with the existing owners. Heck, The Buckthorn Man lives in Milwaukee! Visit the Volunteer page at this site and Contact The Buckthorn Man to see how you can contribute. In 1991 the IAT trail began acquiring their properties shown on the map above by purchasing 80 acres from the Maslowski family. 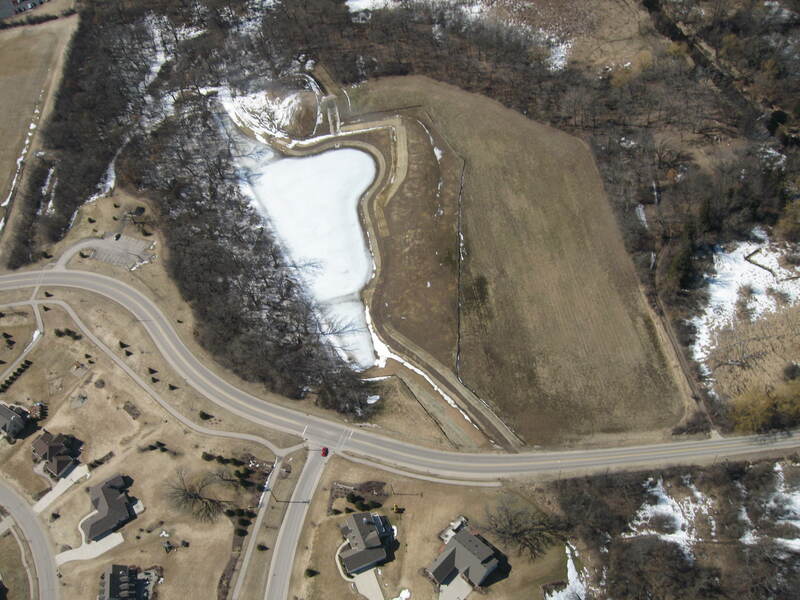 In 1998 the IAT purchased 10.6 acres from the Arrowhead Builders and 40.835 acres from Schneider-Peters. 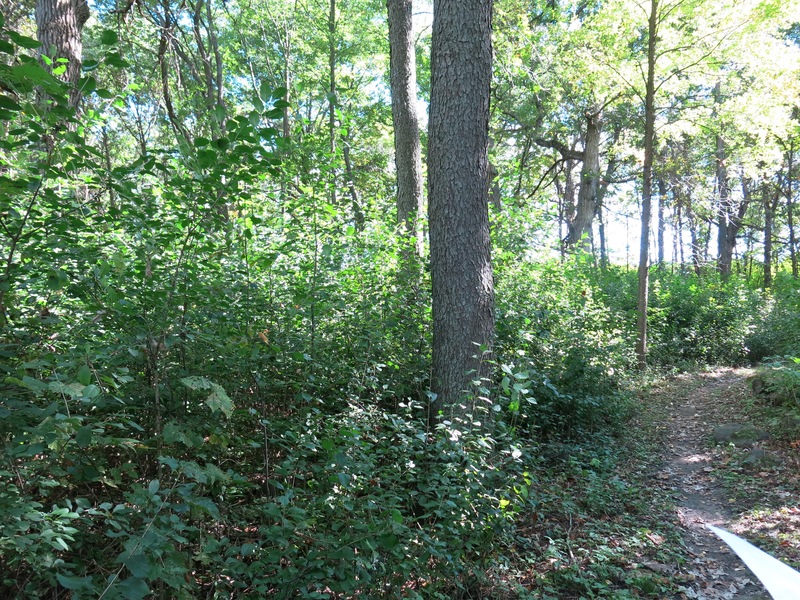 In 1992 Marlin Johnson, who was teaching Biology at UW Waukesha at the time, and was an active member of the Waukesha/Milwaukee Chapter of the Ice Age Trail Alliance, presented a proposal for developing the IAT’s property. They had no public access at the time and had to cut through the parking area of PDC Facilities Inc. to get to the land. The plan called for the creation of a loop trail that included approximately 2,000 feet of boardwalk at a cost of roughly $20,000. 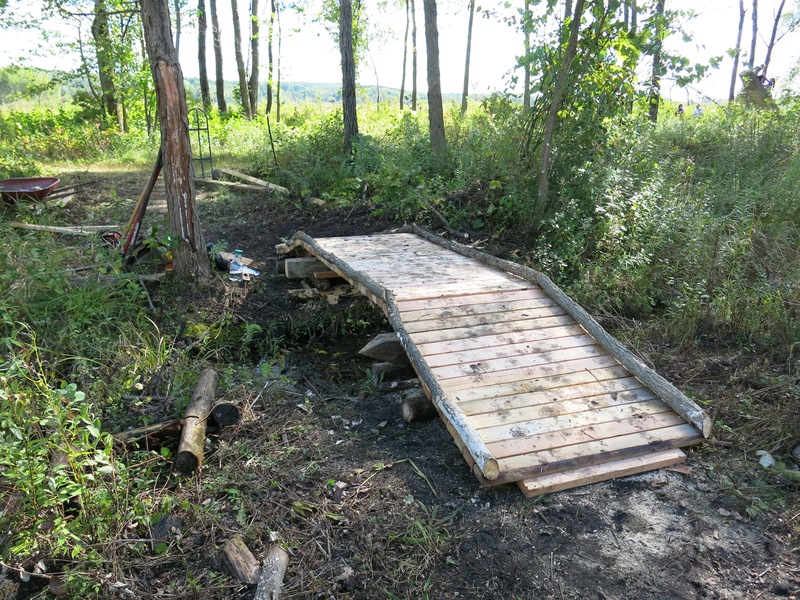 The IAT chapter, under the leadership of Ken Neitzke, completed the boardwalk and trail in 1994. In late 1999, Marlin formed The Friends of the Hartland Marsh and began leading the effort to clear the buckthorn from the John Muir Island and it was on one of his workdays in February 2000 that The Buckthorn Man first learned how to use a chainsaw (the little numbers on the map below represent springs and you can read all about them here.) 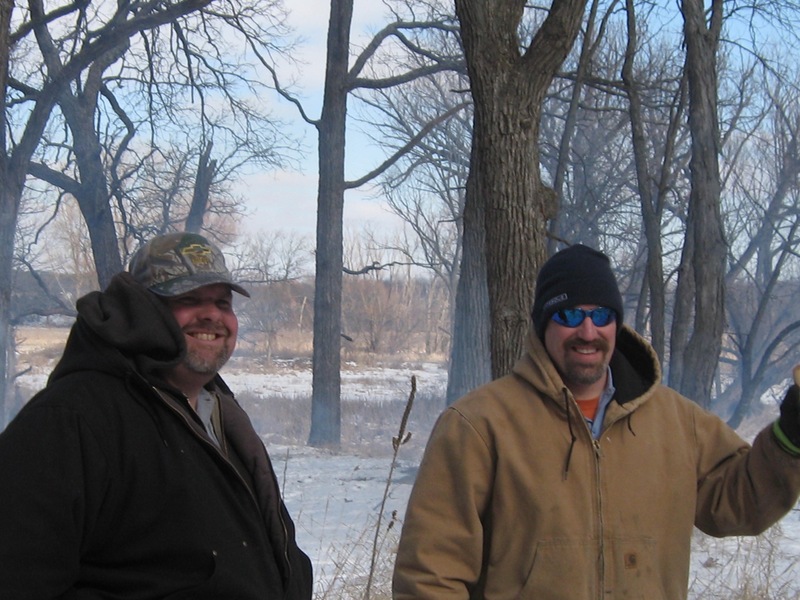 Marlin succeeded in executing one prescribed burn on the John Muir Island with the Friends of the Hartland Marsh. In 1999, former U.S. 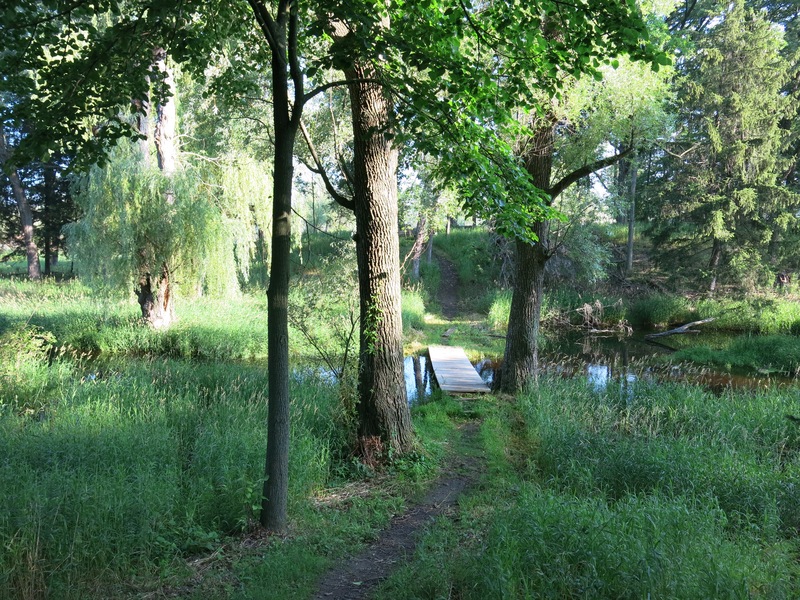 Congressman Henry Reuss, one of the founders of the Ice Age Trail, formulated the plan to make the Ice Age Wetland of Hartland a nature preserve open to the public. That initiative got the Village of Hartland involved and they developed the Cottonwood Wayside and parking area at the John Muir Overlook shown above. Henry visited the site in 2001, shortly before his death, for the dedication. 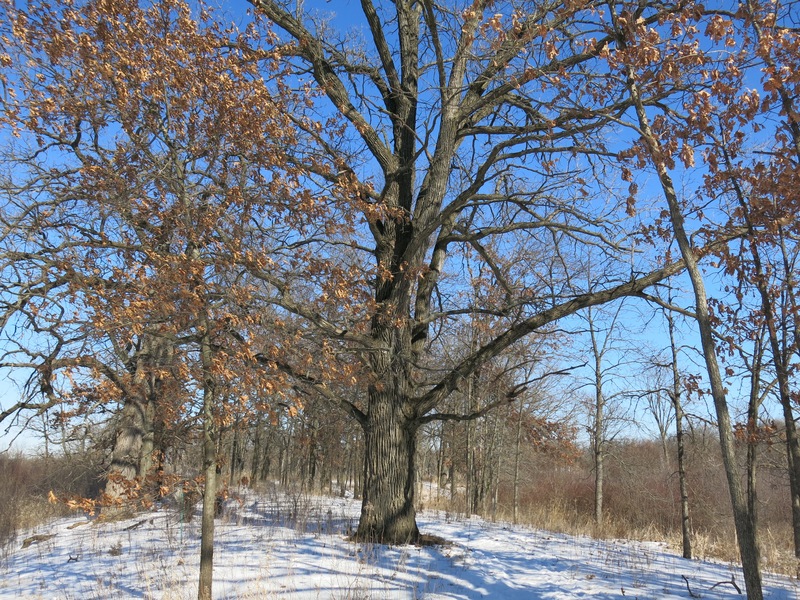 Meanwhile, The Buckthorn Man had been working at Brady’s Rocks and the Scuppernong Springs Nature Trail doing what he loved — freeing the glorious oak, cherry and hickory trees of the Kettle Moraine forest from the scourge of buckthorn. 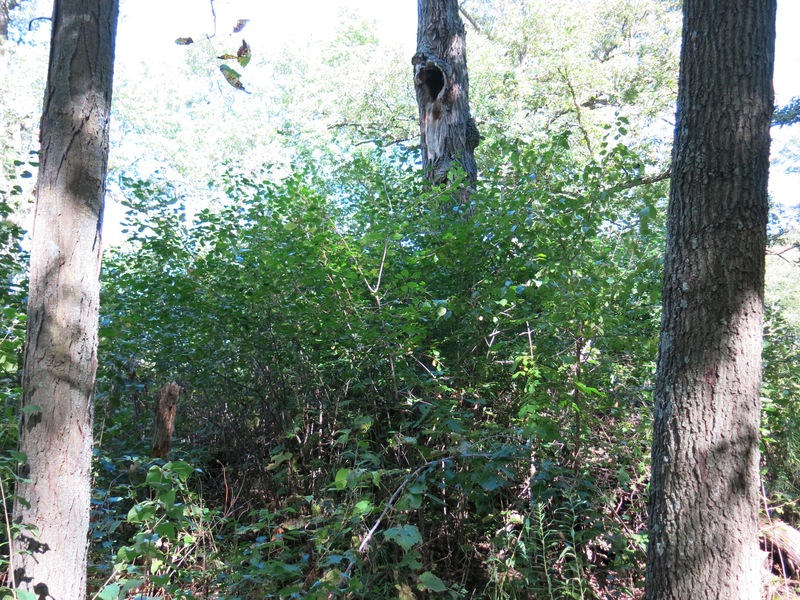 At an IAT workday at The Marsh in 2005, The Buckthorn Man got the bright idea that he would tackle the buckthorn there. This quixotic endeavor inspired IAT veteran, John Mesching (who, by the way, learned how to use a chainsaw the same workday on the John Muir Island as I did) to remark: “You’ve found your life’s work”. You were right John! I spent the next 6 years working 1-2 days a week on average cutting, poisoning, piling and burning buckthorn at The Marsh. In 2007 Marlin Johnson, in his role on the board of the Waukesha County Land Conservancy, negotiated the purchase of the old Parker Brothers (and more recently, Minogue) 28 acre homestead on the Bark River immediately north of the Village of Hartland’s property. He asked Pati and I to become the caretakers of this land and we readily agreed. 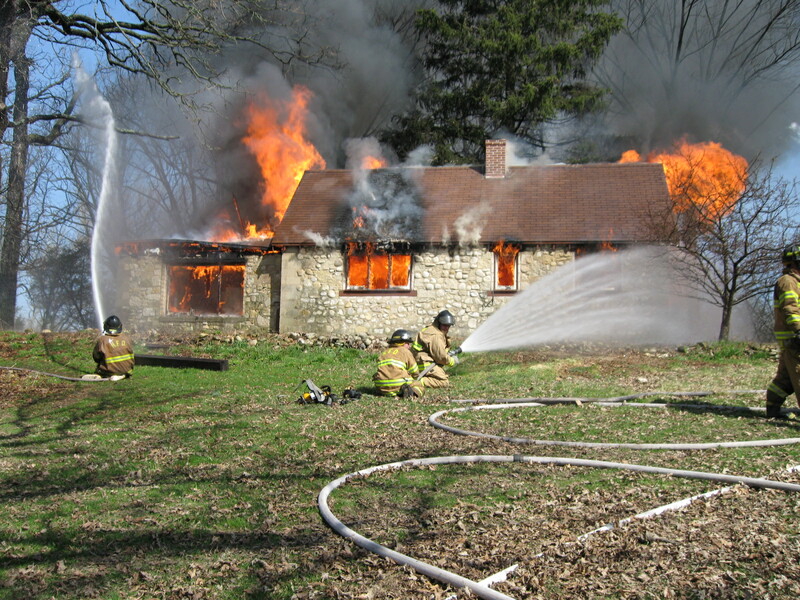 Check out this post for related stories and a great gallery of pictures that Pati took the day the Village of Hartland Fire Department burned the old homestead down. In March of 2008, my wife Pati, who was a tireless helper and active supporter of the project, treated me to an airplane ride over The Marsh for the purpose of getting some cool photos that I could use for a presentation I was preparing for the Village of Hartland Board — I wanted permission to cut the buckthorn on the Village property. They agreed to the proposal and my work expanded to the Village of Hartland’s property. I was making great progress on the project and I coordinated with Arrowhead High School teacher, Greg Bisbee for at least 2 workdays a year. The kids piled brush, pulled garlic mustard or gathered and sowed native grass and flower seeds. 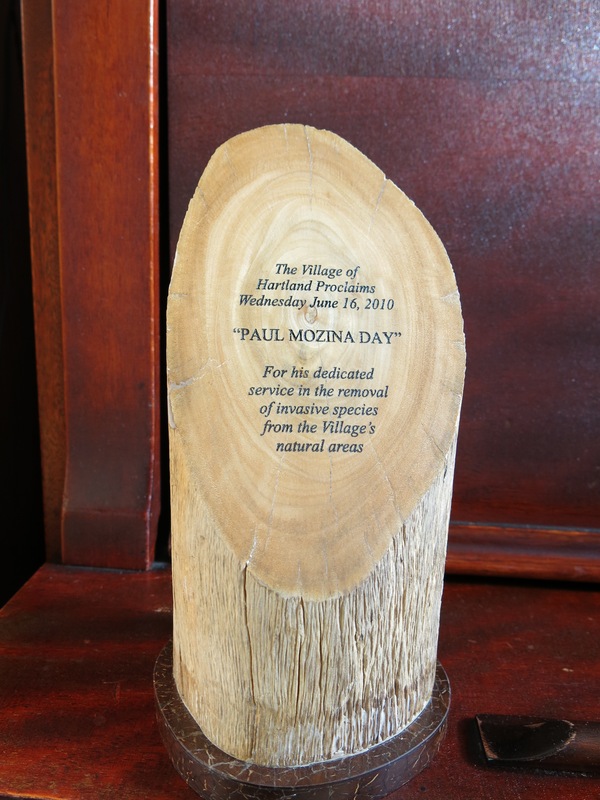 In June of 2010 the Village of Hartland honored me by declaring “Paul Mozina Day”! But, alas, something was missing. Although I did get some help, it was pretty much a solo effort — I did not build a network of members from the community, support from the IAT waned, as they were very close to divesting themselves of this property in exchange for land that they needed for the trail corridor, and my incursions onto the private lands of the River Reserve subdivision — without first getting their permission — were not welcome. And lastly, there was no support for doing prescribed burns, which were essential to preserve the gains I had made cutting the existing buckthorn. As it was, I found myself chasing my tail trying to brush cut and poison with foliar spray all the thousands of buckthorn resprouts and seedlings that were proliferating in the newly opened areas. I was lacking the key tool needed for success — fire. The resistance to fire was so great that ultimately, the Village asked me to stop my work, leaving hundreds of brush piles. The IAT prevailed on me to stop as well, so I called it quits in May of 2011. I returned to the Scuppernong Springs, where I had been working before I started at The Marsh, and threw myself into that effort. Meanwhile, the winds of change blew, and the Village of Hartland got a new Administrator, Dave Cox, who brought a new perspective and openness to the work we had been doing at The Marsh. In February 2013, I was invited back to The Marsh to burn the hundreds of brush piles I had left behind. My friends from the IAT were quick to pitch in and we were joined by the Village of Hartland maintenance crew. Those were some good times and it felt really good to clean up the “mess” I had left behind. I wrote about it at my Scuppernong Springs Nature Trail website in stories here and here. I kept an eye on the rapid degradation of The Marsh since my departure — the buckthorn was coming back and destined to become a worse thicket than what I had encountered when I first started working there. For every mature buckthorn I had cut, there were dozens, hundreds, of new young buckthorn rapidly filling the voids. Still, I found the place enchantingly beautiful. Construction workers from MSI General put the finishing touches on a new roosting site for Hartland’s chimney swifts. 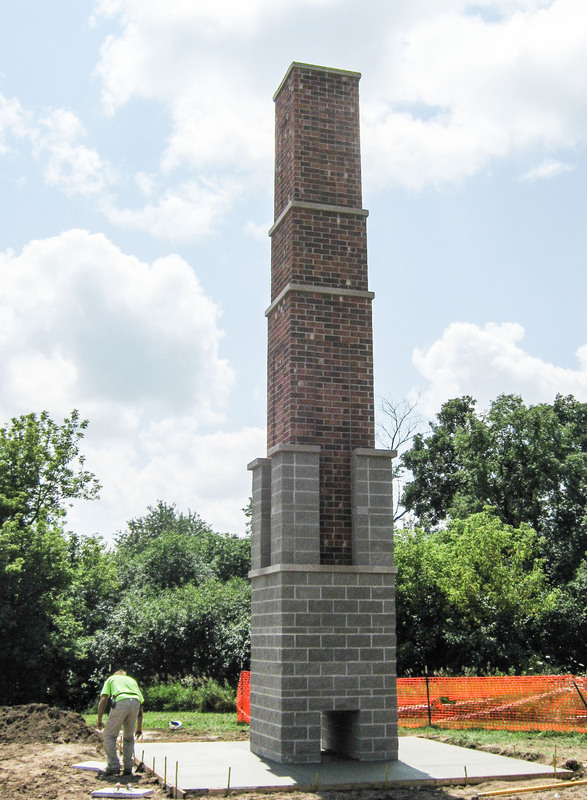 The advocacy groups associated with the project still need about $23,000 in donations to offset the cost of the chimney. Yes, the winds of change were blowing “swiftly” through the village and I’ll never forget how stunned Pati and I were the day we saw the Chimney Swift tower for the first time. We were walking up the hill towards the Cottonwood Wayside (we had come from the Waukesha County Land Conservancy property) and had no idea that Village of Hartland community had come together to turn a dream into a reality. I contacted my friends at the IAT about the tower and found that, coincidentally, Kevin Thusius, Director of Land Conservation for the Ice Age Trail Alliance, had formed a committee to formulate a plan to move forward on the restoration of The Marsh. Ken Neitzke, who was the Public Outreach Coordinator for the Waukesha/Milwaukee Chapter of the Ice Age Trail Alliance at the time, asked me if I would take his place on the committee. Well, YAHHH! I could hardly contain my joy and wrote about it here. The committee secured funds from the U.S. 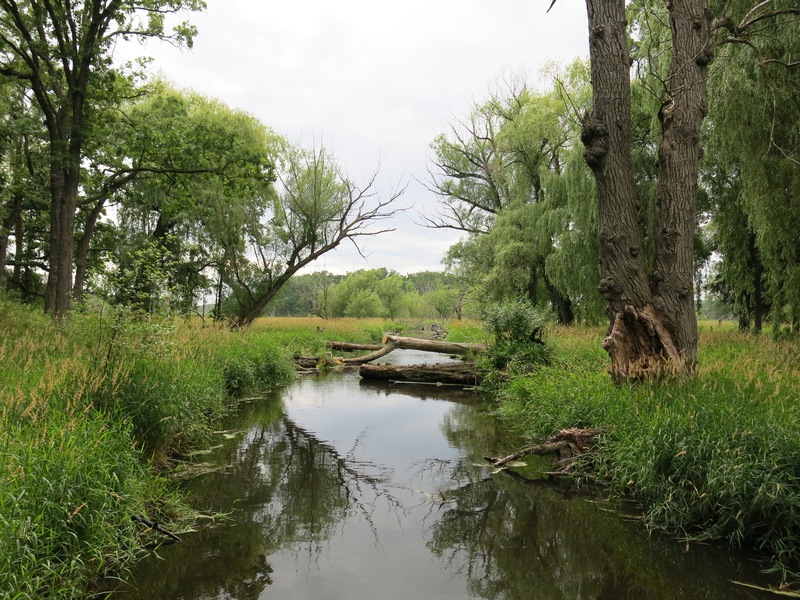 Fish and Wildlife Service and the Village of Hartland and hired Integrative Restoration, LLC, to write a proposal for The Marsh. We were fortunate to have the participation of Paul Sandgren, who was the Superintendent of the Southern Kettle Moraine Forest and Lapham Peak at the time, and he generously, on behalf of the DNR, donated the use of two of their forestry mowers and, their best team, to come out and do some clearing for us at The Marsh. 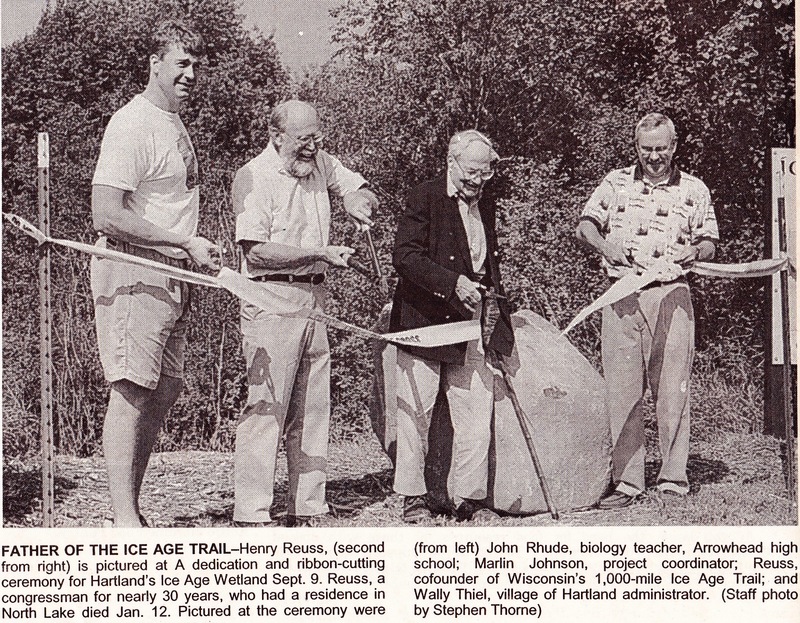 The excitement in the village about the Ice Age Trail and correspondingly, The Marsh, continued to build in the Fall of 2015 when the Village of Hartland became the first Ice Age Trail Community in the state. The recommended comprehensive plan for the Village of Hartland provides a design for the attainment of the specific development objectives set forth in Chapter 3, and at the end of each chapter. The plan is not complete, however, until the steps necessary to implement the plan are specified. After formal adoption of the comprehensive plan, realization of the plan will require faithful, long-term dedication to the underlying objectives by Village officials concerned with its implementation. Adoption of the plan is only the beginning of a series of actions necessary to achieve the planning objectives expressed in this report. More specifically, this chapter outlines the actions that should be taken by various agencies and units of government in efforts to implement the comprehensive development plan. 7. Protect and encourage the preservation of primary and secondary environmental corridors and isolated natural areas, and discourage residential development in environmentally sensitive areas, but provide for some marketability of such lands in order to allow economical use of lands suited to limited and controlled residential development. When permitting somewhat more intensive use of such lands without impacting the environmentally sensitive areas, it is recommended that cluster developments and conservancy subdivisions be required. What specific steps are being implemented by the Village of Hartland to “Protect and encourage the preservation of primary and secondary environmental corridors…”? Is discouraging residential development enough? I have talked with Dave Lamerand, the President of the Village Board and David Cox, the Village Administrator, about increasing the financial commitment of the village by allocating resources to protect and preserve the primary and secondary environmental corridors from “the inside”. The biggest threat we are facing now is the internal degradation of these natural areas caused by invasive plants like buckthorn, honeysuckle and garlic mustard. The village is actively participating in the initiative spearheaded by the IAT in the Fall of 2014 to restore The Marsh. They donated $2,500 to the effort in 2015. The U.S. Fish and Wildlife Service donated $5,000. Approximately half of these funds were spent in 2015 employing staff from Integrative Restorations, LLC to spray herbicide on the brush that the DNR cut in March and for other services. We are at a critical juncture if we want to efficiently preserve the hard work that The Buckthorn Man did from 2004 – 2011 clearing the mature buckthorn from the environmental corridor. Like the head of Medusa, for every mature buckthorn removed, dozens, if not hundreds of young seedlings and sprouted up to replace them. We need a sustained financial commitment from the Village so that we can implement the restoration plan in a coherent, consistent and efficient manner. 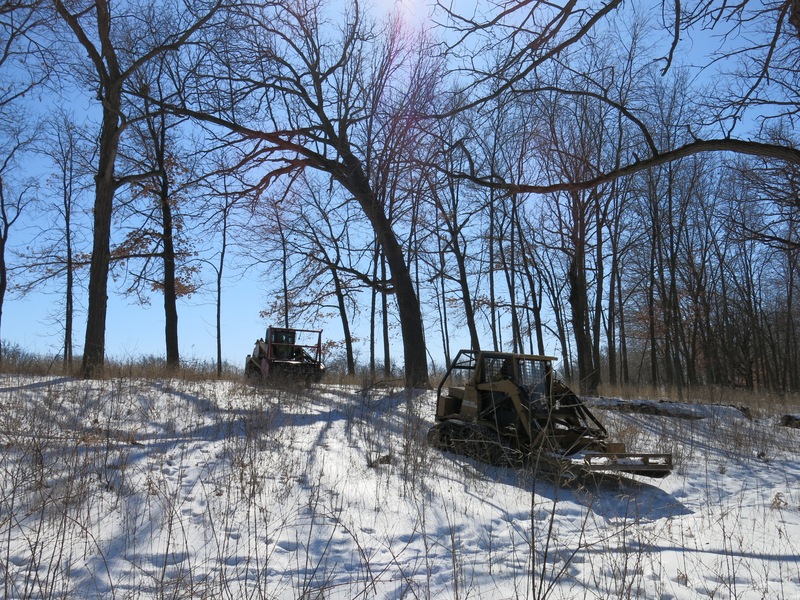 The main priorities right now are to hire forestry mowers to cut the buckthorn, while it is still relatively easy to do, and to hire professionals to conduct prescribed burns to prevent the buckthorn from taking hold again. 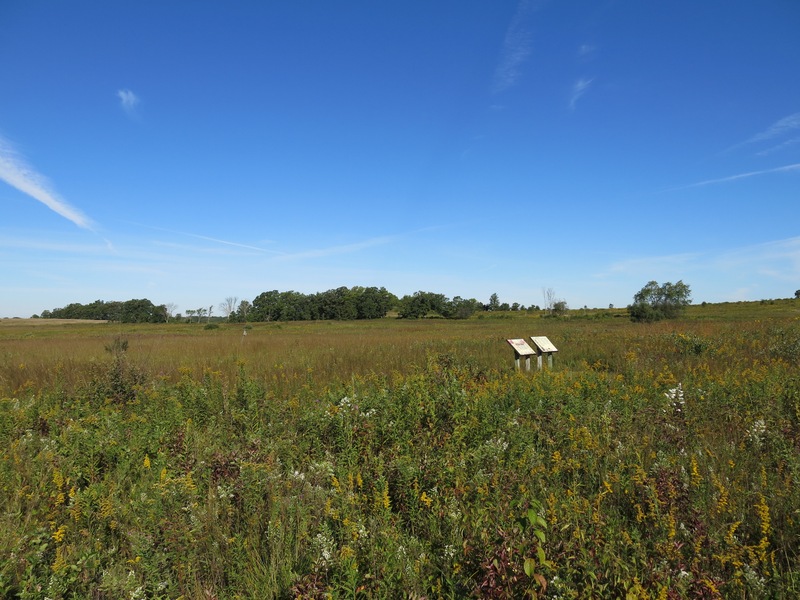 Per the restoration plan prepared by Integrative Restorations, LLC, we need approximately $17,000 to $23,000 over the next three years to accomplish the goals on just the upland portions of the Hartland Marsh environmental corridor (tackling the wetlands would be in “phase II”.) 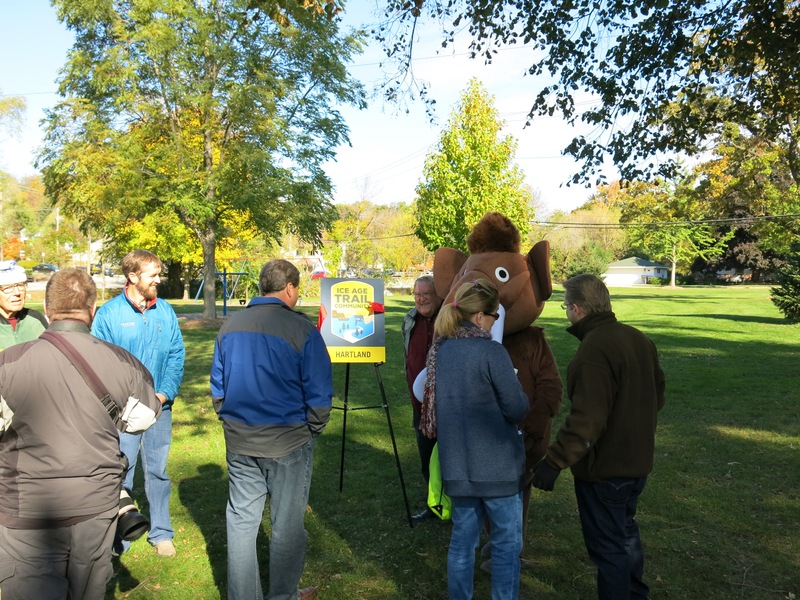 While the Ice Age Trail Alliance and the Waukesha County Land Conservancy may be able to contribute additional funding through grant writing activity, we need the Village of Hartland to step up it’s financial commitment. I hope to make the case at a Village Board meeting in the near future. 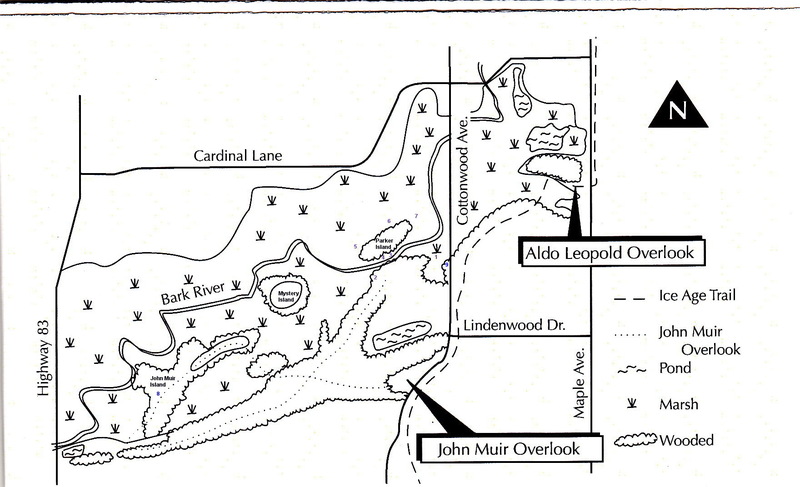 A detailed water trail plan would not only help officially designate and delineate a Bark River Water Trail route, but it would also identify trail-related facilities that should be constructed and improvements that should be implemented to establish a safe and navigable trail corridor for both recreational and educational pursuits in an ecologically sensitive manner. The designation of an official water trail may further instill a sense of trail stewardship among canoeists/kayakers to respect the quality of the water and become good caretakers of the river. Specific trail improvements and support facilities that should be identified on the plan may include providing parking facilities, restrooms, handicapped access, and picnicking areas; removing litter and fallen trees for navigability; installing wayfinding and educational signs; and improving underpasses or providing safe portaging areas with durable paths and crossing signs. There is no doubt that this effort cannot succeed without a plan, so let’s make a plan and get after it. I will be lobbying the Village Board to prioritize this effort and partner with the Business Improvement District and the City of Delafield to make it happen. And, last but not least, I am suggesting that the village land immediately north of the detention pond (between the pond and the WCLC land) be converted from a corn/soy bean agricultural field into “The Hartland Prairie”. Wouldn’t it make more sense from the perspective of this area as part of the primary environmental corridor in the Village of Hartland, to convert it to a prairie instead? I think it could be done for $3,000 – $4,000. This is another thing I would like to discuss with the Village Board. So, won’t you join me in this “Great Work”. Share these ideas with your friends, especially if they live in in the Village of Hartland. 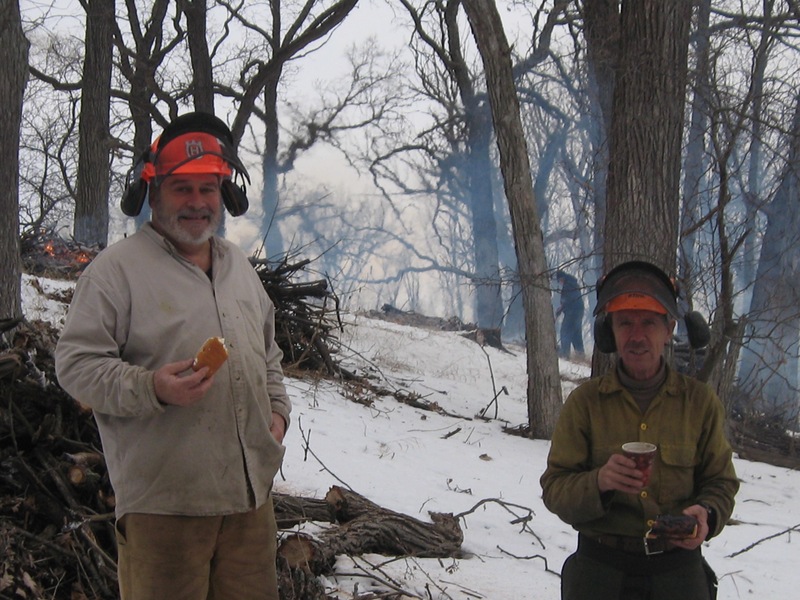 Visit the Volunteer page on this website and Contact The Buckthorn Man to find out more about how you can contribute to the success of this project. Thanks! See you at The Marsh. p.s. If you want to dig deeper into the history of The Marsh, check out Marlin Johnson’s work. 1/19/16 Pati and I visited Penbrook Park in the heart of the primary environmental corridor.